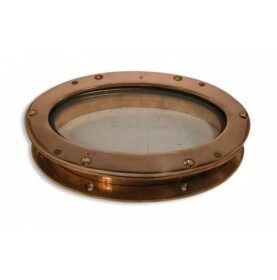 Round polished bronze portlight for upper hull areas and cabin sides (frame and ring). With two closures for additional security and seals for a perfect closing. Fitted with toughened glass and supplied with outside rings. 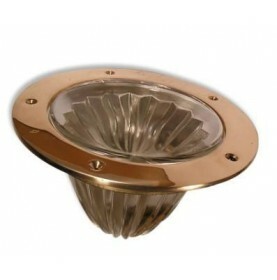 Round bulls eye in polished bronze with a deep frame and solid glass for upper hull areas. Can be fixed on thin areas in steel or plywood. 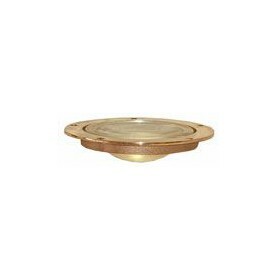 Round decklight frame in polished brass without glass. 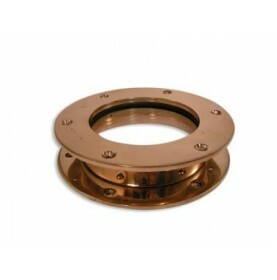 Available in 3 diameters. Do contact us for customized frames. 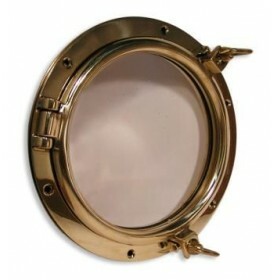 Round opening portlight in polished brass for upper hull areas and cabine sides (frame and ring). With two closures for additional security and seals for a perfect closing. 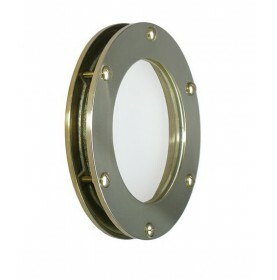 Round portlight in polished brass for upper hull areas and cabin sides (frame and ring). Fitted with toughened glass and seals for a perfect closing. 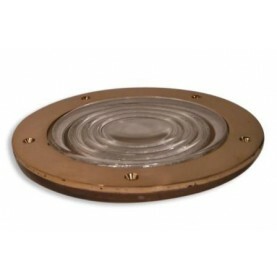 Round bulls eye in bronze for upper hull areas with solid glass. Can be fixed on thin areas in steel or plywood. Round deep deck melon with a very great light output in solid glass. Suitable to thinner decks such as steel, aluminium or fiberglass. 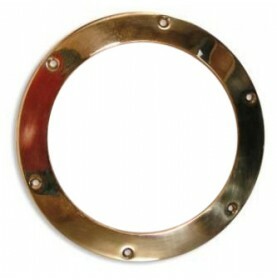 Frame in polished bronze. Rabetted rectangular deck prism in polished bronze. 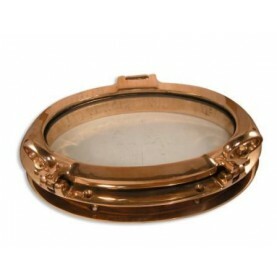 Supplied with very solid and thick glass. Can be fixed on thin areas in steel or plywood. 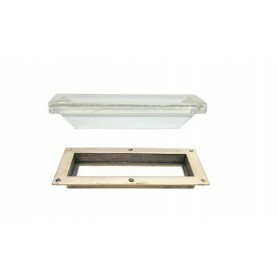 Rabetted rectangular deck prism with a deep frame in polished bronze. 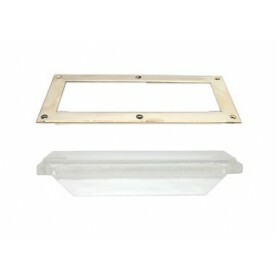 Supplied with very solid and thick glass. Can be fixed on thin areas in steel or plywood. 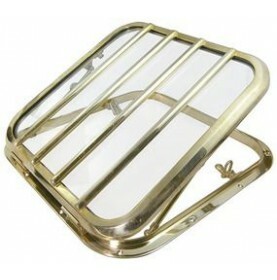 Heavy square deck hatce in polished brass with safety glass and fitted with safety bars. Watertight seal of soft sponge rubber. The folding frame opens to variable heights employing two hinges that can be operated single handed, and closes to a water-proof and burglar-proof state using two folding locks. 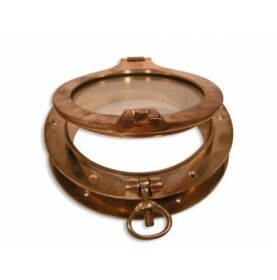 Available in bronze or chrome plated on demand. 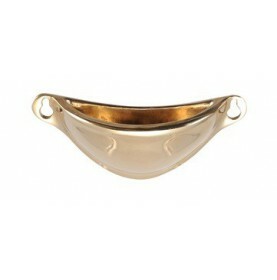 Drip cup in polished bronze to catch the condensation that can drip from portlight or bull's-eyes. For classic or traditionnal boats. Available chrome plated on demand.